With a wide and bulky line, this comfortable and stylish armchair is a statement for any living space. A tribute to one of the most sublime lounge chairs to come out the Danish midcentury in the early 1950s. 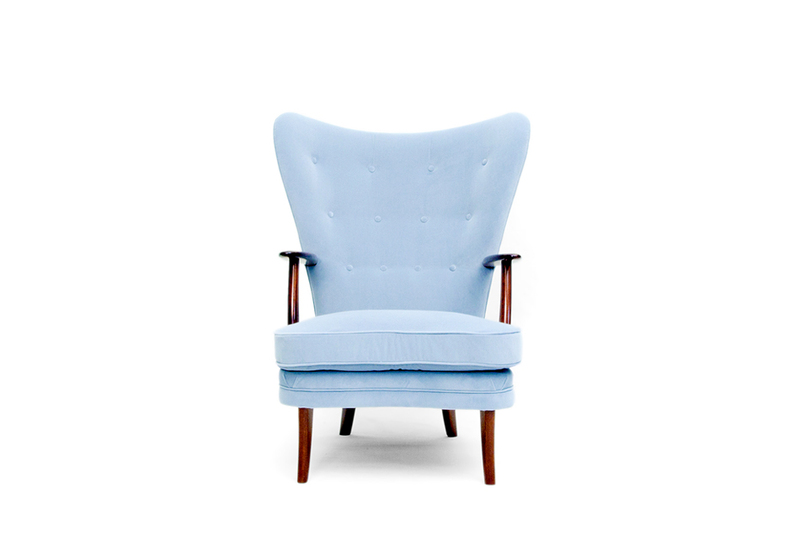 Upholstery of the armchair in a Cotten Velvet, light blue; Feets and arms in mahogany wood with gloss varnish. Solid Pine wood frame with components in Plywood. Beechwood can be used for parts submitted to pressure. Equipped with elastic straps. A Foam and feather mix cushion on the seat. Foam in 100% PU with BS standard fire specifications or Fire retardant interlining is available upon request. 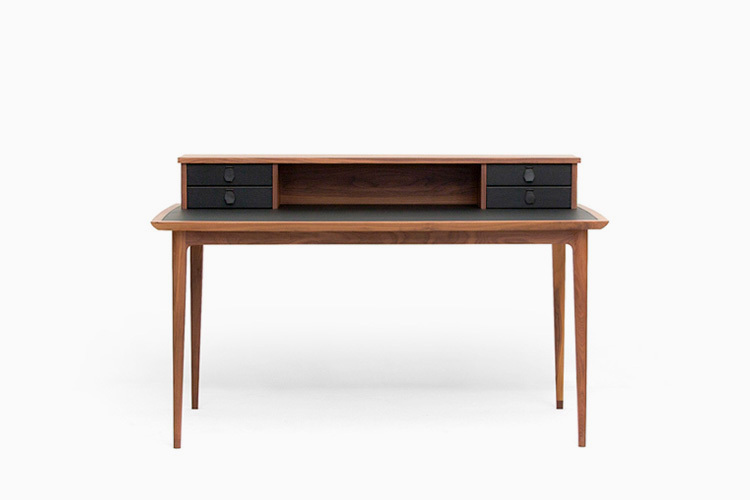 Available in upholstered, Mahogany, Walnut, beechwood stains or lacquer in all RAL colours, Gold or Silver Leaf.